For dental professionals, direct mail can still be a very effective tool for reaching business goals and growing your practice. The key to direct mail marketing is actually the founding principle of marketing itself: getting the right message to the right people at the right time. To effectively advertise your practice with postcards or similar mailed marketing materials, you may need an accurate and up-to-date mailing list from a reputable source, as well as a customized message for each of your ideal customers, or patient personas. Buyer or patient personas are fictional representations of your ideal customers. These biography-style lists or one-pagers paint a picture of who your marketing should target, using a matrix of personal details, from age and gender to dental practice preferences. Even for custom lists, such as families that have recently moved or parents of children nearing the ideal orthodontic treatment age, dividing your list by patient persona can tell you the details you’ll need to make your messaging and campaign a success. Some of your marketing goals may be general, such as attracting new patients. Those campaigns have a wide appeal and can use similar messaging for different buyer personas. By leveraging buyer personas, you may also hypertarget your messaging and grow your practice by focusing on specific dental products and services. Solidify your goals, then choose the best patient personas to target in order to achieve them, before you even consider your messaging. No matter what you’re offering, messaging can play a big role in how you’re perceived and ultimately, whether your marketing is successful. Consider your buyer personas and how very different their lifestyles may be. 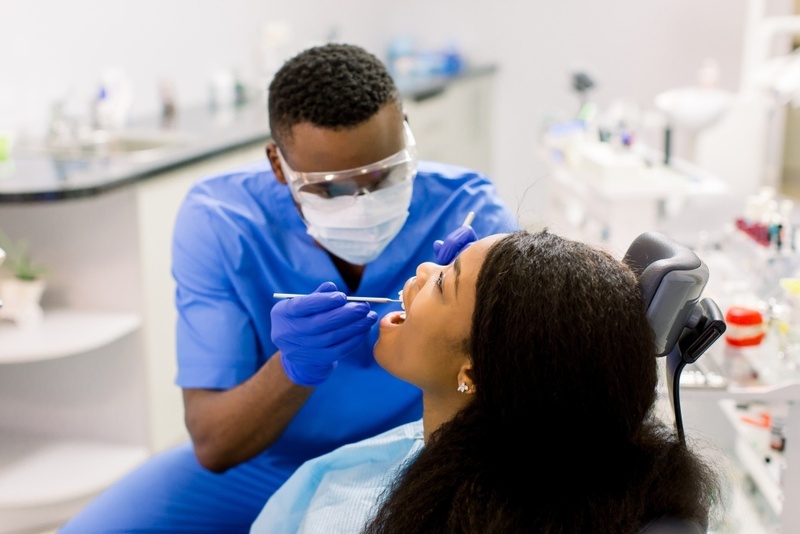 To effectively market even a service as simple as competitively-priced dental cleanings, your messaging can be customized to make it more effective for each persona. For example, an adult buyer persona that needs orthodontic treatment for themselves may be most interested in fast treatment with transparent alignment tools. On the flip side, a parent of several children needing orthodontic treatment may be only focused on the most cost effective approach. In both cases, you’re selling alignment treatments, but to very different buyers with different budgets and priorities. Often, the most effective marketing targets a specific pain point or problem. When you’re crafting an offer, think about the everyday challenges and dental-related complaints of your patient persona. Busy professionals may need evening and weekend hours more than most patients, while discounted whitening can appeal to potential patients interested in cosmetic dentistry. Give each of your audiences an important “why” for calling you to book an appointment. Maybe your use of anesthesia and luxury amenities are helpful for anxious patients. Maybe your discounted pediatric cleanings are important for families with multiple children. Whatever your unique selling proposition, make sure you’re marketing it to the right crowd, or persona, in order for the full value to be understood. Once your target persona is identified and you’ve created an offer, craft your messaging copy and keep it simple. Don’t count on strangers to stop and read the fine print of your postcard or letter, even if it was customized specifically for them. You may only get three seconds of someone’s attention, so make it count. With just a glance, readers should understand what you do, who you are and what your valuable offer is. Going to the dentist, especially a new dentist, can be a source of anxiety for patients. A friendly photo and short bio can work in the same way a referral from a friend does, helping potential patients feel comfortable and confident enough to call and book that first appointment. 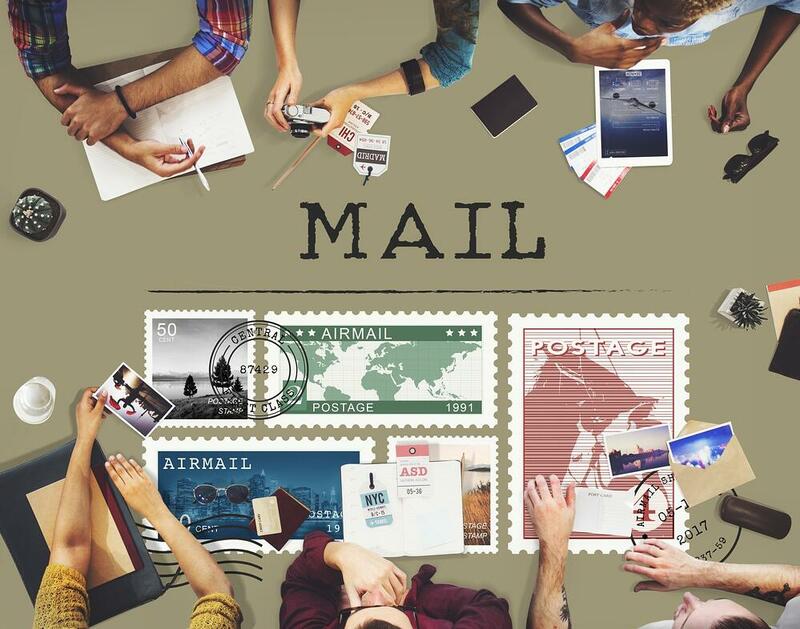 As long as it appeals to your buyer persona, get creative and have fun with the design of your dental marketing postcard or letter and envelope. Stand out from the local competition by using a custom design rather than a template. A reputable marketing agency can help you do the due diligence it takes to stand out from the crowd and the creative work you’ll need to avoid using a template design. Carefully consider your font choice and graphics as well as the size and shape of your mailer. Larger postcards typically perform better than the standard size. Cursive text on printed envelopes can have better open rates. Envelopes with lumpy contents, such as product samples, can also perform well by sparking curiosity. The last piece of the direct mail marketing equation is timing. 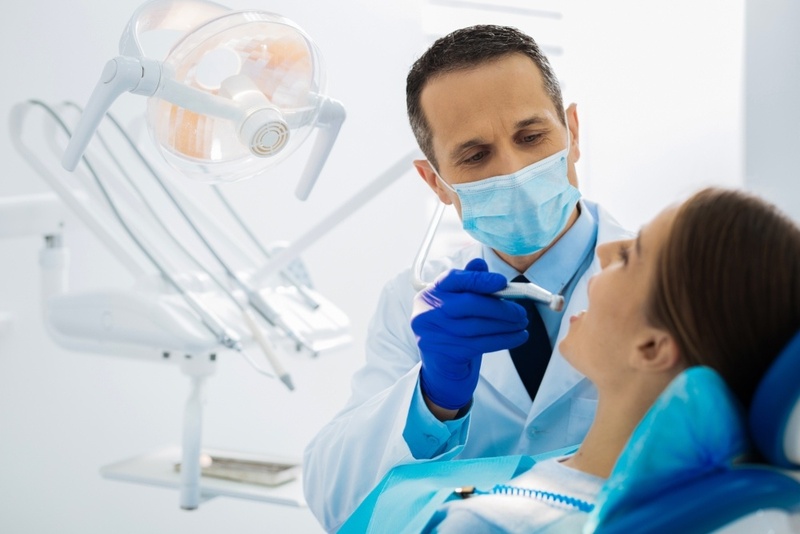 Dental practices typically offer a very specific set of services. They’re not a place everyone needs every day. As you’re creating a campaign and choosing your audience, make sure that the timing of your message is ideal. If you’re trying to attract new dental patients, consider targeting people who have just moved to the surrounding area, families with children under one year old who are preparing for their first dental appointment and newly hired/insured employees of large, local companies. Another key consideration, particularly for cosmetic dentistry, is the time of year. Many patients who are willing to “splurge” on these optional dental services may not have the funds to do so all year long. Consider holidays and the summer vacation seasons when planning your campaigns. The best way to calculate your ROI and weigh your investment is by tracking the results of your campaign. Think about your goals and the best way to measure them. Increasing profit? New customers? Selling a specific service? Each different campaign goal will be measured differently and affect your business in different, measurable ways. While it’s important to track the ultimate result of your campaign, that’s only part of the big picture. Are prospective patients responding to your marketing but not closing the deal? That’s a possibility as well and can help to shape your future marketing efforts. For direct mail campaigns, response rate is typically the metric to measure. Common options for measuring your response rate include using a trackable phone number, adding a unique URL to your website, coupon codes and QR codes. Running a dental practice while caring for patients is no small feat, but neither is effective marketing. Take the time to create and understand the personas of your prospective patients. Even a few hours of research or a consultation with a professional marketing agency can guide the success of your marketing efforts for years to come. Treloar & Heisel, Inc. and its divisions do not offer legal, business consulting, or marketing advice. Please consult a professional in these areas for any issues concerning these topics.